As a customer your safety is of paramount importance to us. Our proactive culture, across all staff, ensures that the health and safety of both customers and employees remains our top priority. With our operation spanning 30 years our track record is second to none in the coach and bus charter industry. Zero tolerance to Drugs and Alcohol including regular testing of all drivers and staff. Coaches equipped with onboard GPS tracking system. Courtesy SMS arrival notification for on-time performance. Quality control of all bookings 24hrs, 7 days a week. Regular maintenance and inspection of all vehicles. All vehicles are equipped with seat belts. A comprehensive HSE System ensures our operations lead industry practice and deliver excellent service to you, our client. 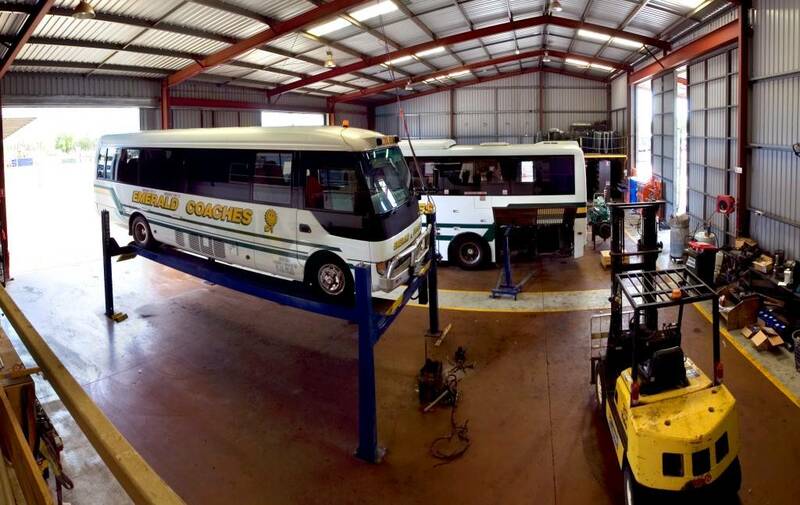 We ensure that all vehicles are serviced to the highest possible standards to deliver reliability and safety at all times. Maintenance of all vehicles is carried out in modern workshop facilities, by fully qualified mechanical teams using the latest technology. Our head office is based in Emerald, Queensland with a staff of 6 covering various roles in reception, administration and operations and are always available to assist with customer needs and enquiries. To provide a safe, reliable and consistent coach transport service. To meet and exceed all department of transport standards. To provide an efficient coach service that meets passenger needs. Good service is the focus of all aspects of our coach operations.